Trees are always a great item to have in a yard. Fruit or nut bearing trees are even better. They offer some shade but also food for our families and when in flower, the bees and birds love them. The best time to plant fruit trees is in the spring after the frosty nights have stopped. On the west coast you can plant during the months of Nov. – March but if the ground is frozen, it complicates things. Spring temperatures are warm enough so the trees do not go into shock and the soil is moist enough to offer a good start for establishing them in their new home. Fruit trees grow best in full sun locations where the ground drains well. The semi-dwarf fruit tree, is the current favourite. They are a third smaller than their standard counterpart making them easier to pick and easier to prune. Newly planted trees need plenty of water throughout the first year, especially during the summer months. For the first three summers, it is wise to provide more water than normal, to allow the fruit trees roots to become well established and deep enough to get water from underground sources. Fruit bearing trees should not be allowed to bear fruit in their first year, if you want a tree that is strong. 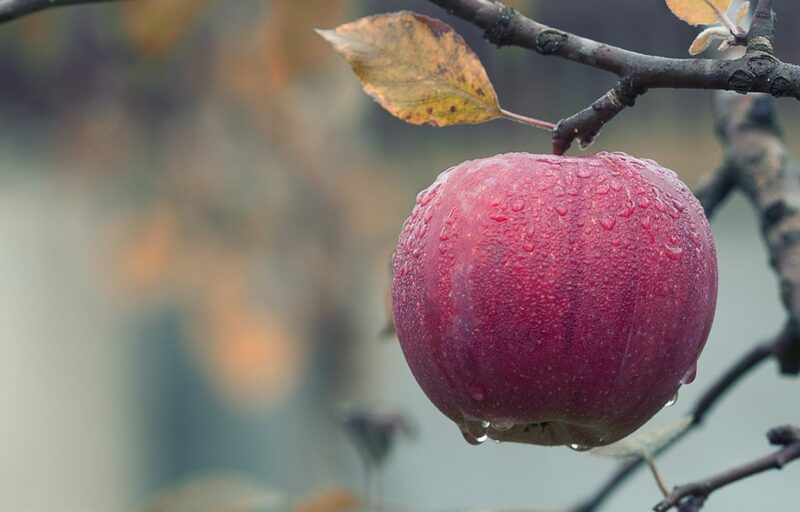 Fruit trees do require pruning each year to keep branches from rubbing against each other, to give the tree as much light as possible and to keep the fruit bearing to a proper level. Transformations Landscaping specialize in fruit tree pruning and care, including help with disease issues. 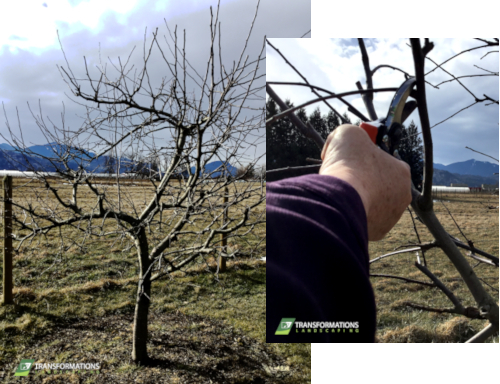 If you’d like Transformations to help with planting, pruning or disease control for your fruit trees, give us a call at 604-316-7792 or fill out our online form. Transformations Landscaping is fully insured, carries commercial liability insurance, and is covered by the Workers’ Compensation Board of B.C.